Greens MP Mehreen Faruqi has obtained figures through freedom of information laws which suggest that the greyhound racing industry has failed to fulfil its undertaking to significantly reduce the euthanasia rates of dogs. The pledge was one of many the industry gave in an effort to save greyhound racing in New South Wales. A 2015 report by the ABC’s Four Corners program produced evidence of widespread abuse in the industry, including “live-baiting” whereby trainers use live piglets, possums and rabbits to “blood” greyhounds during secret training sessions, and the mass killing of “underperforming” dogs. A Special Commission of Inquiry was launched shortly thereafter, delivering a report to the state government in June 2016. The report’s key findings included the shocking statistic that of 97,783 greyhounds bred for racing in the previous 12 years, between 50% and 70% were killed because they were deemed “uncompetitive” as racing dogs. The report expressed the view that the industry could not reform, recommending that greyhound racing be brought to an end across the state. The premier at the time, Mike Baird, acted in line with the report by announcing that the greyhound racing industry would be shut down by April 2017. However, Mr Baird did a “backflip” two months later by reversing his decision – a move that angered animal welfare groups. Sadly, the recent figures suggest the industry has made little progress towards reform, despite the spotlight on its practices. The statistics record that at least 330 greyhounds were euthanised between April 2017 and 31 December 2017 because they were “unsuitable for rehoming”. These numbers equate to a death rate of about 1.3 per day, slightly higher than the 1.1 per day in the previous 12 months. Another 296 greyhounds were euthanised due to injury, a rate that was on par with the previous year. “This equates to more than almost a hundred dogs a month or almost three dogs each day, which is comparable to figures from the year before showing no very little decline in deaths”, Ms Faruqi says. Almost half of the dogs put down by vets had been classed as “unsuitable” for re-homing, which Ms Faruqi says is a backdoor way of euthanising unwanted dogs. She adds that the continuing issue for the industry is finding ways to humanely rehabilitate and rehome animals that are not suitable for racing. NSW stewards recently launched an investigation into the circumstances of a euthanisation at a regional racetrack earlier this year. 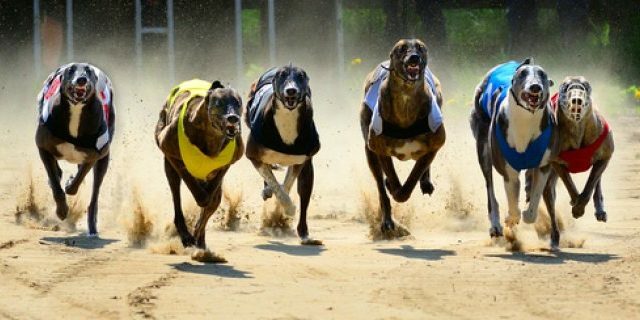 A greyhound collided with other dogs during a race, and was found to have breached racing rules by “failing to pursue”. The animal was suspended from racing for 28 days. The greyhound was then euthanised by the officiating veterinarian. But an official stewards’ report suggests the dog was checked and “no apparent injury was detected”. The continuing high rate of killings is sad indictment on the industry’s already sullied reputation. It is moreover feared the real euthanasia rates are far higher, and that trainers are engaging in the under-reporting of deaths due to concerns it will lead to their businesses being shut down. There is currently little tracking of what happens to dogs that are transferred to third parties, and nothing at present to stop an owner from filling out adoption paperwork, only to have the animal then put down a short time later, thereby circumventing the system and effectively hiding the euthanasia from authorities. While the industry acknowledges that the killing of underperforming greyhounds has been a “scourge” for decades, and is concerned by the recent figures, it says the problem cannot be fixed “overnight” but will require changes to a deeply embedded culture. Governing body, Greyhound Racing NSW, has recently changed the composition of its board. It says it is committed to transforming the industry, conceding it has “historically failed to take adequate measures to safeguard greyhound welfare and promote responsible breeding and ownership practices”. The body says it takes the issue of unnecessarily euthanasing dogs seriously, and is in the process of implementing measures to combat the problem. It has pledged to achieve reductions in euthanasia rates through education, better funding for the greyhound adoption program and more effective regulation. Other Australian states as well as New Zealand have also come under fire for the poor treatment and unnecessary killing of greyhounds. Canberra has passed legislation to ban greyhound racing from May this year. The local industry has launched legal action against the decision.